The month of September did not present a wealth of buying opportunities for me, at least outside of the REIT purchases that were made with the funds from my pension rollover. With the dawn of a new month, I am keeping my eye on a selection of stocks that I currently own but would like to add to if the price is right. This month I will continue to focus on adding to existing positions rather than introducing new positions to the portfolio. Here are the stocks that are on my radar. 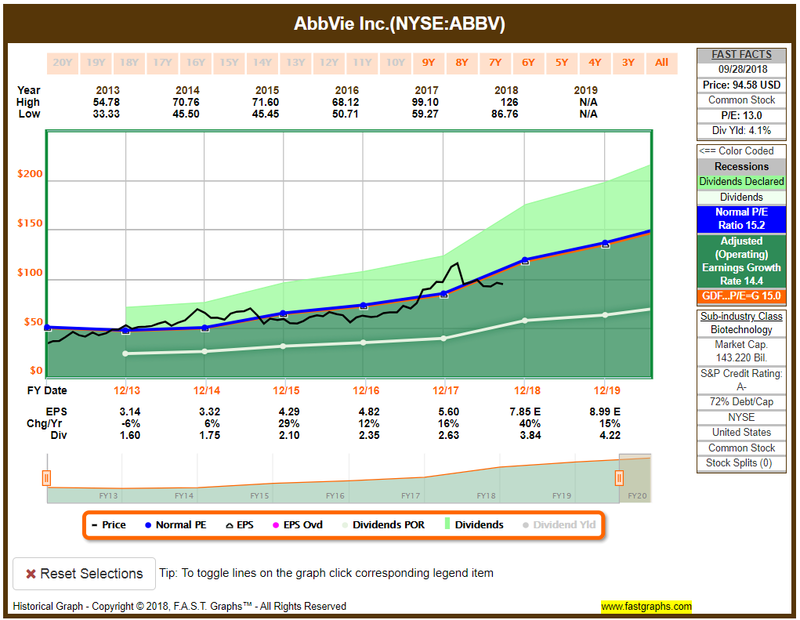 AbbVie is one of my longer-term holdings as I have held it since the spin-off from Abbott, and I’ve been rewarded handsomely with a cost basis of $19.08/share. With a current yield of 4.08% and 6 years of increasing dividends, I am watching this one closely for a potential add. While this is currently one of my larger holdings, it will be hard to resist adding a little more if we see the price test the sub-$90/share level again. They have a solid double-digit growth rate over the last 3 years and have a payout ratio of approximately 48% right now. With estimated EPS growth of 15% in the coming year, there is upside here despite concerns about their pipeline and looming biosimilars. General Mills has been beaten down throughout 2018, and quite a few people are leery of investing because there is a sense that the company doesn’t connect with the millennial generation. However, their 14-year history of dividend increases and 4.49% dividend yield are certainly enticing. Their payout ratio has been creeping upwards and currently checks in around 64%. Combined with subpar EPS growth this year and next, this does not come without a degree of risk. In the event that the price moves down to the $40-41/share range, I will have a hard time saying no though. 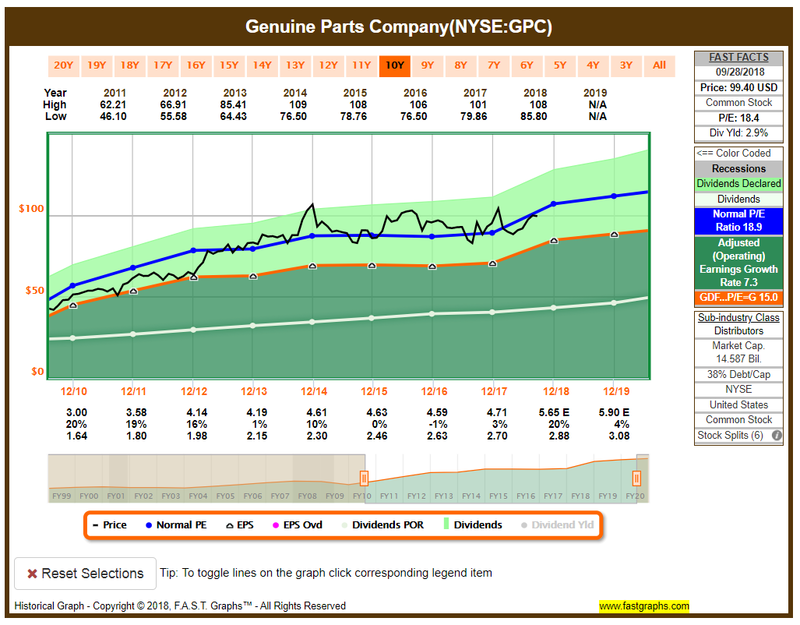 Genuine Parts Company is a Dividend Champion with an impressive 62-year history of increasing their dividend. They have been working to sell off S.P. Richards, which is the part of their business that distributes industrial replacement parts, however the merger with Essendant appears to have fallen apart. The S.P. Richards company has not produced well for GPC, and I believe selling it off will benefit them in the long run. At a current dividend yield of 2.90% they are trading slightly above their 4-year average yield of 2.65%–indicating that they may be slightly undervalued. I’d like to see the dividend yield up around the 3.0% or even slightly higher to have a bit more margin of safety, but it is hard to be disappointed with their long-term history. 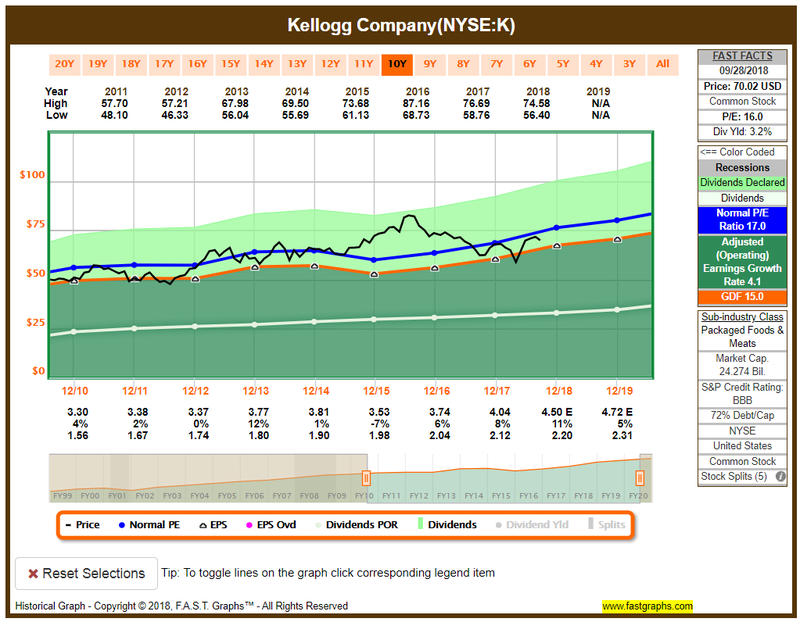 While Kellogg is another unsexy company, they do have a respectable 15-year history of increasing dividends and currently carry a 3.12% dividend yield. While their dividend growth is not overly impressive–checking in around the ~4.0% mark over the last 1, 3, and 5 years–they are quite consistent. 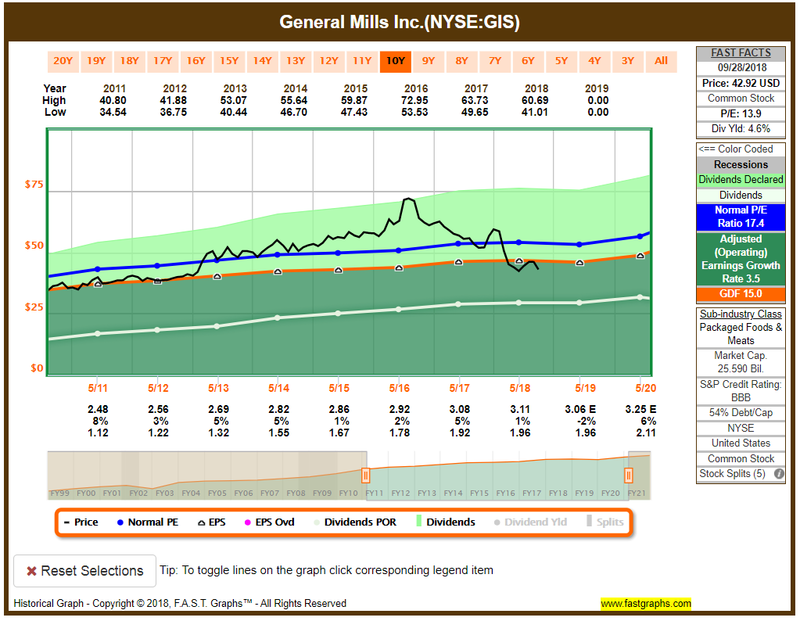 The forecast over the next two years is for slightly reduced earnings growth of around 4-5%, which is better than that of General Mills, and their payout ratio around 50% gives them some flexibility. I’d like to see the price down around $68/share before I begin to nibble and should it find it’s way down below $65/share I will begin to take bigger bites. AT&T has been a love/hate for many in the DGI community, as quite a few people were adding shares prior to the Time Warner deal while it seemed an equal number of people were frustrated with the lack of upward movement in this stock during this amazing bull run. While this is one of the handful of holdings that I have over 100+ shares, I am watching closely to see if there might be an opportunity to add more shares close to $32/share or better. There is no doubt that they took on a massive amount of debt with Time Warner, but they also generate a wealth of free cash flow. I believe they are positioning for a move upward (maybe just wishful thinking on my part) but even if they remain in this range, it is hard to be disappointed with the 6.0% dividend yield. Talking about AT&T, it is hard not to mention Verizon in the same breath. The two companies are in a race for 5G rollout while neither will impress you with their dividend growth. However, with their dividend yield checking in at 4.54% it is another nice income producer. They did recently announce that they will be offering early retirement packages in an effort to reduce their workforce, so it will be interesting to monitor how the market responds. While I believe they may be slightly undervalued here, I’d like to see the price down around $50/share or better to improve my margin of safety. 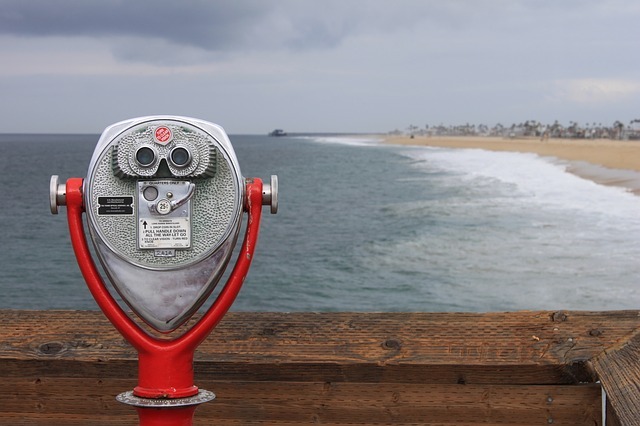 In addition to the handful above, I will continue to keep an eye on a few from my September Watch List such as Prudential Financial and Snap-on as I would like to add more at the right price. Rounding out the list is one that I’ve made a few additions to in recent months–Altria Group–as I believe they still represent a good value at these prices, and then one that I’ve wanted to add but don’t currently think they are a great value at the present price–Exxon Mobile. I’d like to see XOM down below $80/share and preferably closer to $77-78/share before I consider adding, so I don’t anticipate any activity on this one right now. Overall, September was pretty quiet in terms of adding new capital–again with the exception being the basket of REITs that I purchased. The stocks that I was watching really did not present a lot of great buying opportunities, and it is important to remain patient and not over-reach to make a purchase. Hopefully the new month will provide some more attractive buying opportunities, and I certainly have a nice handful of stocks to watch for possible purchases with capital at the ready to strike. Are you watching any of these stocks right now? What is on your watch list for October? Thanks for the feedback Tom, and great timing on the deep dive! I am aligned with you on your thoughts on GPC and have the same target price. Really havent looked at kelloggs before and really dont know what they own other than corn flakes. haha! Last year i looked at genuine parts company and then the stock took off, wish i bought there. Seems like a solid company and dgi buy! Lets see what you decide. Also nice buys on Abbie 19 bucks would be a dream now! Thanks PCI, K has a lot of cereal and breakfast items (Corn Flakes, Fruit Loops, Special K, Eggo) as well as snack items such as Pop Tarts and Nutri-Grain bars. I’ve been happy with GPC but would definitely like to have more shares. Hoping prices will allow me to grab at least one or two of these picks! I own all but Kellogg and Verizon on the watch list. I was fortunate to get in on GPC at below $84 a share. I recently added a share of T at $34.02. Nice, and that’s a great entry price on GPC! My cost basis on T is at $32.10 and I’d love to add some more close that price. I’ve got my alerts set so will see what comes to me! Question is – which is your favorite pick right now, curious! Great question Lanny, and I think out of the main stocks it would be a tough call between ABBV and GPC. I’d probably give the nod to GPC primarily because I already own 100+ of ABBV and am underweight on GPC. If I count the stocks in the additional items to watch, I’d say Snap-on but the price is still too rich for me. I really wish I had bought more when I opened the position as I got in when it was in the $140’s. With both my boys working in auto shops, I know how much all of the guys buy tools from the truck and they aren’t cheap. They have great growth over the years too! Great summary DD. I own several of these, and the remainder our stocks that I have watched but never bought for one reason or another. My focus now is on rounding out my portfolio with financials, but I am having trouble finding good value in companies I trust in that sector. Are there any solid financial stocks that you would recommend right now? Thanks FIREman, and I noticed that you mentioned financials in your monthly report. I’m currently holding a handful right now, including: AFLAC, Franklin Resources, Prudential Financial, Southside Bancshares, and Main Street Capital. I recently wrote about Franklin ($BEN) being one of my losers so far, and they are undervalued right now. However, I have concerns about their EPS growth into next year and therefore am not buying right now (dropping below $30/share might tempt me though). AFLAC is not at a good value to buy right now IMO, however Prudential was on my watch list last month and they are close to a buy right now. Southside Banchshares (SBSI) has probably performed the best, but is a little rich at these prices for me to add right now. 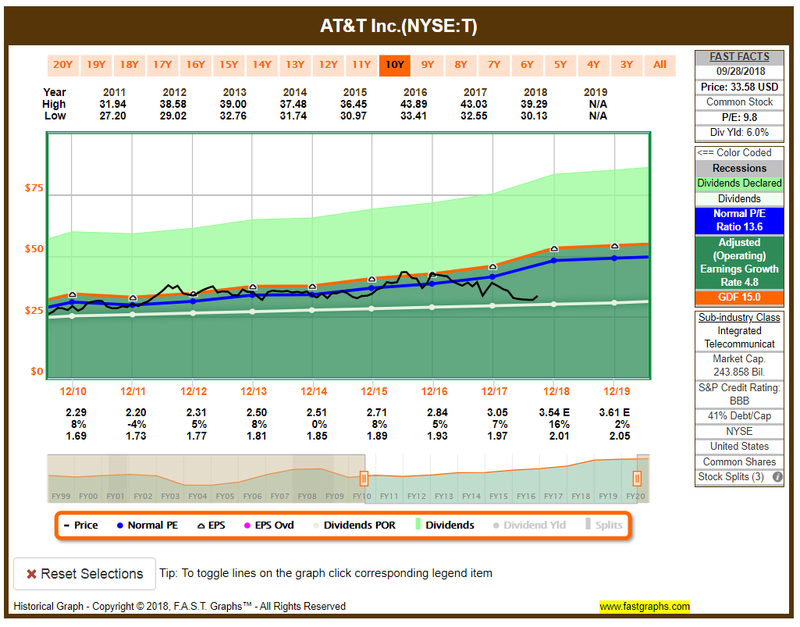 Main is a steady BDC, so best to hold in an IRA, and pays out a nice monthly dividend. They are a little over-valued but they tend to trade at a premium based on their track record. Out of my holdings, the two I am watching closely for buys in the financial sector are PRU and MAIN. I know the guys at Dividend Diplomats have invested in some small, local banks that have looked appealing. I’m trying to build up existing positions right now so I haven’t investigated them closely, but might be worth checking out for you. If you invest in foreign stocks, the Canadian banks are also very strong performers. Thanks much DD! First-rate analysis (as usual) and this is very helpful information about the financial services companies. The Canadian banks seem to offer the best current valuations but there is that withholding tax issue to consider. I will be doing a post on this issue shortly. Look forward to post, as that issue has kept me away from foreign stocks. I’ve opted to get my international exposure via index / mutual funds in my retirement accounts. It can be done but it’s a hassle that I’d rather not deal with. I own ABBV, MO & XOM from your list, DivvyDad. MO is a fairly new addition for me, and I could see adding a few more shares if it drops into the high $50s. I like your entry points for ABBV and XOM. I’m happy with my XOM position so I’m not adding there, but I would like to add some ABBV. Of the remaining companies, I probably wouldn’t add K, GIS, T or VZ. I like their yields, but I’d prefer to invest in companies that are growing more quickly, as that’s the skew I like for my portfolio. GPC has looked interesting to me before, so I’ll have to investigate further given the interest you and Tom have shown. As for SNA, they could be a good challenge for my FAST holding. You provided lots to think about… thanks for sharing. Thanks ED, I’m happy to hear my watch list has encouraged some additional thought and due diligence. The four you would not add definitely are one the low end of growth, which has its drawbacks for sure. I’m kicking myself for not adding more SNA back when I originally bought as my price was around $149/share. 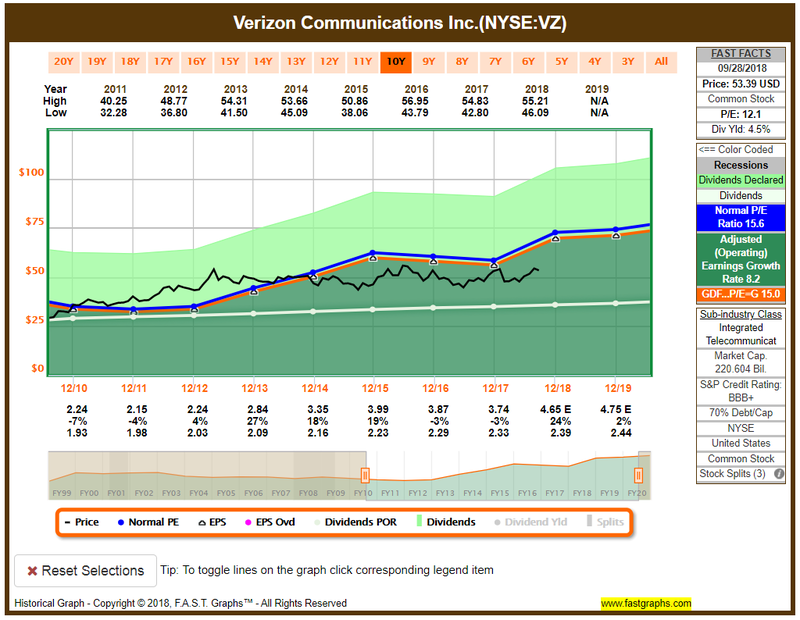 Their yield isn’t super but their dividend growth has been great. Appreciate your perspective on these stocks!